Items that Amazon Japan ships directly to other countries are very limited: only CDs, DVDs, books and videos. If you want other items, you can use our shopping service. This is the top page of our site. 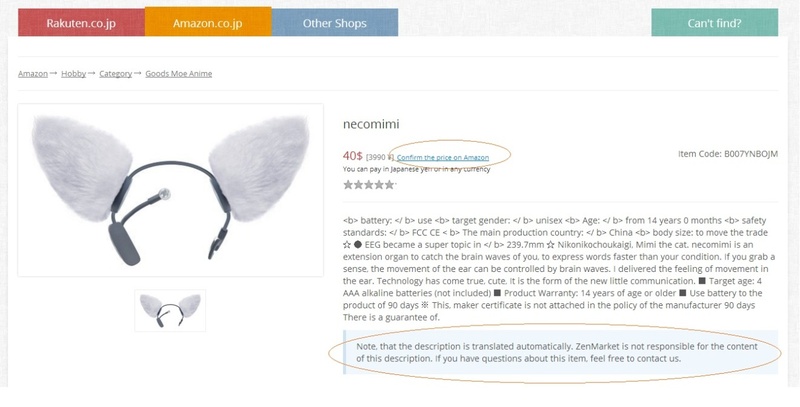 To start searching for items on Amazon, please click Amazon.co.jp. Then type the name of item you looking for and click Search. You can also search using categories, circled in red. Then choose the item that has the best price for you and click on it. This is the product page. Before adding the items to your cart please check the price on the original Amazon page because prices change very frequently. The description is translated to English automatically, but if you have any questions about the product feel free to contact us. If everything is OK, click Add to Cart. Don't forget to complete quantity, size, color or other required information fields. If you couldn't find the product on our site, please contact us and we will gladly help you.